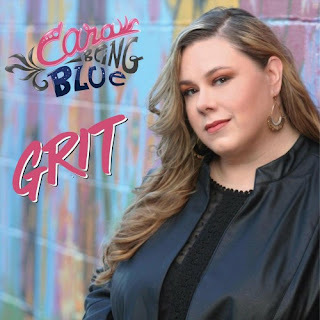 Cara Being Blue has entertained crowds of thousands at festivals and hundreds at night spots all over Metro Nashville and Middle Tennessee for many years with high energy Blues music. This dynamic and engaging band is fronted by native Bostonian, Cara Lippman, a student and friend of the late great Shirley Lewis, Regal Queen of the Blues of Boston. Cara relocated to Nashville several years ago to hone her band leading and live performance skills in Music City. In no time on the local Blues scene, she was bestowed the titles of “Jam Queen,” “Nashville Blues Society Jambassador,” and “Empress of the Blues." She has been nominated Best Live Blues Band (Best Blues Artist) four years in a row by the Nashvillle Industry Music Awards (NIMA). Her studio and acoustic cuts are being played on Blues radio programs all across the U.S. and overseas; her active fan base covers the globe. She was #1 for Blues music in Nashville on ReverbNation for over half of 2016 and most of 2017, reaching the Top 5 in the US and in the world, as well as being a Top 300 band on the entire website. Cara and her band are currently running the most popular Pro Blues jam in Nashville on Tuesday nights. Early in 2016, Cara was honored by the Tennessee Rhythm and Blues Society for her contribution to Blues music in Middle Tennessee. Also in 2016, Cara Being Blue competed and was chosen as a finalist for the Nashville Blues Society Nashville Blues Challenge, and with a single digit margin, placed second in the competition. In 2018, she was featured in Taiwanese television program “Music Everywhere”. She has quickly won the hearts and respect of the local industry, Blues radio, her peers and fans with the way she lights up a stage and values her band, jammers and listeners. Watch out! Her personality arrives ten minutes before she does! Backed by some of the most talented musicians in Nashville, Cara and her band know how to draw and energize an audience!